Surprise and joy in revisiting required reading from school years is a reaction we hear quite a bit. It’s common sense: Putting a book on a required reading list makes it feel like an arduous task to be completed. It’s normal to associate authors like John Steinbeck, Willa Cather and F. Scott Fitzgerald with memories of deadlines and tests rather than the connection we felt to the literature. 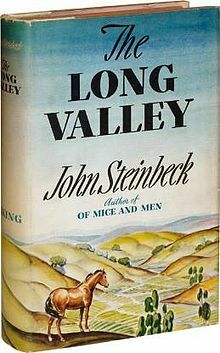 But revisiting Steinbeck’s The Long Valley as an adult in a Books@Work session puts the book in an entirely different context; you’re there by choice, and you’re there with others who want to read the book too. It’s liberating. She continued: “I really liked 1984 in high school. And I re-read that when I was an adult and I thought, ‘Oh man. There’s a lot more that I’m taking from this now than I did before.” The sense of satisfaction she got from re-reading Steinbeck and Orwell came not only from the feeling of freedom that comes from reading by choice, but the feeling of finally grasping a book about adults as an adult. It’s crucial to challenge high school and college students with mature literature. But a short story about marital strife or a book about an authoritarian regime can resonate so much more profoundly in a grown adult with a childhood, a past, a family and a career. Revisiting these books – especially with fellow adults and colleagues – triggers a process of rediscovery and recognition. Now I see why Gatsby pined so long for Daisy. Now I realize why Mrs. Bennett was so worried about finding a husband for each of her daughters. Very few things can shine a spotlight on a text like life experience. 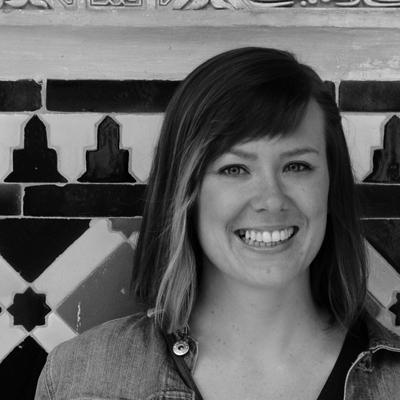 The engineer’s joy was not that she liked an author she once dreaded reading; it was that she finally understood the power of the book and why it might have been required in the first place. Beloit College professor Brock Spencer, a longtime Books@Work facilitator, recently explained on our blog what he has enjoyed most about his experience leading sessions. “Definitely being able to take advantage of the range of life experiences that a varied and mature audience brings to the discussion,” he said. “I was regularly surprised by connections they made that had not occurred to me – family and community, as well as work connections, a broader collective knowledge of history and experience in society.” Books@Work provides a rare opportunity for adults to read together, to explore their histories, to share their knowledge and to grow, all the while reminding participants that reading isn’t just for students in a classroom. High school graduation may have been forty years ago – but maybe it’s time to dust off the Kafka, the Cather, and the Fitzgerald.